Can you help me how to model a pinball tabke leg?? Re: Can you help me how to model a pinball tabke leg?? Your request is pretty non-specific. Can you share a photo or something? Can you give it a try and upload your model? Why do you need to deliver TONIGHT? Please accurately mark this as the correct answer. 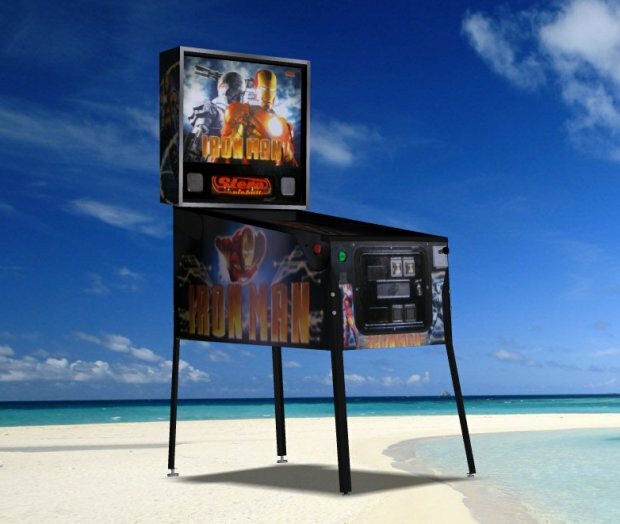 (I had to play..)..and, I'm indifferent with the leg idea... but, it could be a unique pinball attraction?.. So a table leg like this? Should be possible for a beginner. Damn man, how do you control 'dem splines! Talk to a teacher or professor. Talk to another student. Do the tutorials in SolidWorks. If you put this off until the due date and only just then realized that you don't know how to use SolidWorks then [redacted]. It's impossible to "help" you do this from zero. Of course, we could do it for you (if you had given sufficient information), but that's unethical. This is why I asked about just doing the leg... If he gets to do the leg portion, he's got the easy part of the pinball machine. You know, If Solidworks were to make a gizmo to aide in the creation of such machines, would it be called a Pinball Wizard? Steve, PLEASE add this to the Top Ten List of ideas!!! I love it! Yes, Rick Becker to the rescue! Hi-ho Silver! Diogo Silva or Diogo Silva, what school are you attending? Assignment late? Wish you could stop time? I am pleased to offer my services to help you complete your school project. I believe my firm, Dewdrop, Cheatem & Hold'mUp, ltd, inc., can help you. Either me, or one of my Top Rated Associates, will be pleased to come to your site and demonstrate how to effectively drag and drop your drawing. As you know, the data in our files are priceless. A price cannot be put on the ability to pass a course without actually dragging and dropping your drawing. We have the most advanced tools and methods possible to help you. Just send me First Class Airfare to your destination. Arrange for ground transportation (Limo with bar service) along with accommodations at the closest 4-Star hotel. A small daily stipend will be required for food and necessary accouterments. Tipping is not required, but is greatly appreciated. Do you think a student can do these things? ...Do you think a student can do these things? Those rich fold have children and grand children. I assume most of the children and grand children go to university. Yes Maha. I hope one of those rich kids takes me up on the offer (and Daddy pays) and I will indeed travel First Class to their destination and help them. What you are saying is your assumption otherwise you are expecting a Rolls Royce treatment from a person even not having bullock cart income. Do my homework for me… RIGHT NOW!!!!!! You are obviously a student and are asking for help with your homework. That is a big no-no here on the forum, which explains all the replies that did not provide the help you wanted. Sorry to disappoint you. However, if you are making a good effort to accomplish something in SWX and are having some difficulty then this forum can be a terrific and helpful place. In order for you to get the best experience I encourage you to go here: How do I do this SOLIDWORKS Forum thing? Go through ALL the links Dan Pihlaja posted there. If you read all of those things and then follow the advice you will be greeted with open arms and a lot of great help. Definitly the most helpful answer ! Diogo, we can't help you model something for a school assignment, but best i can tell you didn't actually ask anyone to model it for you. You asked to explain it. This really should be something covered by your instructor for a school assignment but i have helped many students across the globe that have gotten little to no help in their classrooms. I can give you some general guidance based on the images i've seen. The table leg appears to be a sheet metal part. This can be done in a few different ways but in general you will design it "as bent". If your goal is to replicate the part exactly for manufacture it should be a sheet metal part, with bends and a forming tool for the structural ribs on the long vertical sections. Start by making a sketch of the "L" shape of the leg like this. Using the Sheet Metal tab you will create a Base Flange/Tab with your sketch. You will want to set the Base-Flange1 parameters based on your actual part. You will set the Direction 1 length to your 700mm and override the default parameters with a thickness value and corner radius suitable for your part. These parameters can be set in the first feature "Sheet-Metal1" in the feature tree but let's take it one step at a time. This should give you the basic shape to get started. If you are having trouble completing the basic shape, the forming tools used for the indents are going to be a difficult task to tackle at this time. I assume the bottom of the leg has a bend (Edge Flange) and likely a welded nut and some support gussets. Try what i laid out first and see where that gets you.